Patients' representatives are demanding greater efforts to be put into measures to combat the hospital superbug MRSA. New ways of fighting the spread of the infection will be discussed at a conference comprising health service staff and technical experts. The Clean Hospitals Summit, to be held on Thursday and Friday, will involve 1300 people from across the UK. Organised by the Patients' Association, delegates at the summit will present politicians with a list of challenges. BBC social affairs reporter Jane Dreaper said the conference has been organised in response to the sackloads of post which the association receives on the issue of MRSA. She says the association believes the rate of MRSA infection could be reduced in a relatively short space of time. Delegates at the conference will hear about a range of measures, including new technologies and simple practices, such as hand-washing, to help combat the "superbug". Several key speakers have had to pull out of the conference because of the election campaign. But the organisers say the event will be more than just a talking shop. They say the association will present politicians and civil servants with a list of challenges on MRSA, and they will monitor to see if changes are made in the following one-hundred days. 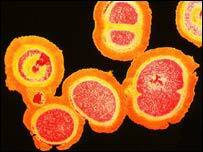 How big a threat is MRSA really?